Scott's travel journal of his experiences in Germany and Czech Republic for the winter holiday 2008. 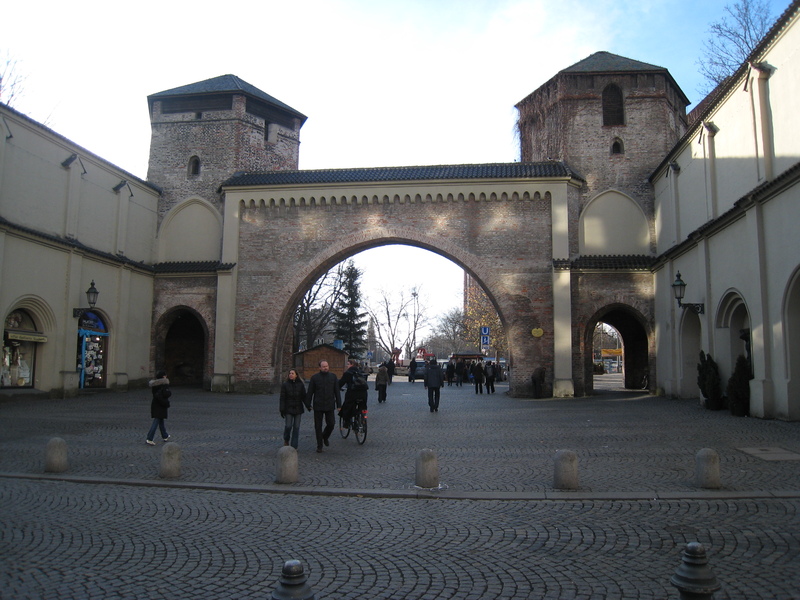 Yesterday we arrived in Munich at 11:15am GMT+1. We walked around Karlsplatz (in the middle of the city) for a while, got something to eat at a small and very friendly cafe then continued to our friends home. 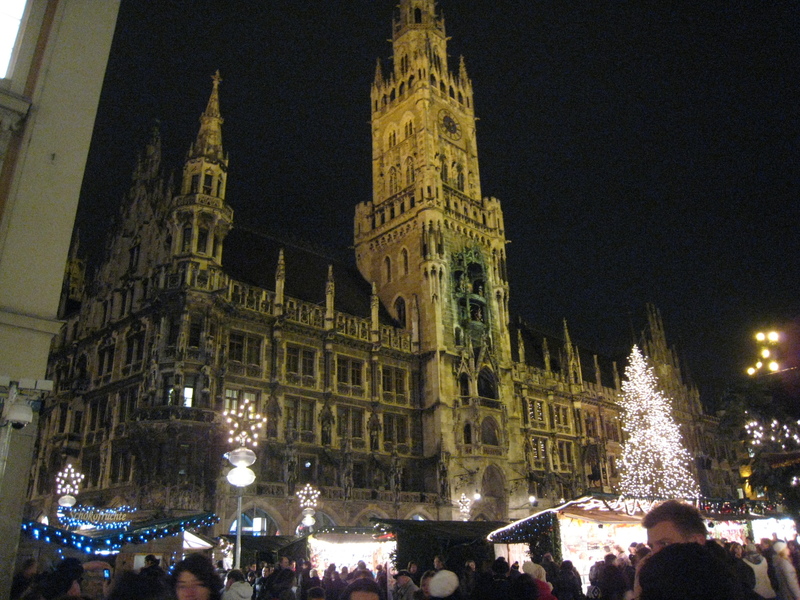 After a few hours of chatting and laughing we went out to explore Munich's Christmas markets and drink Glühwein. Glühwein is a holiday drink served at Christmas markets that is pretty much spiced wine served hot. 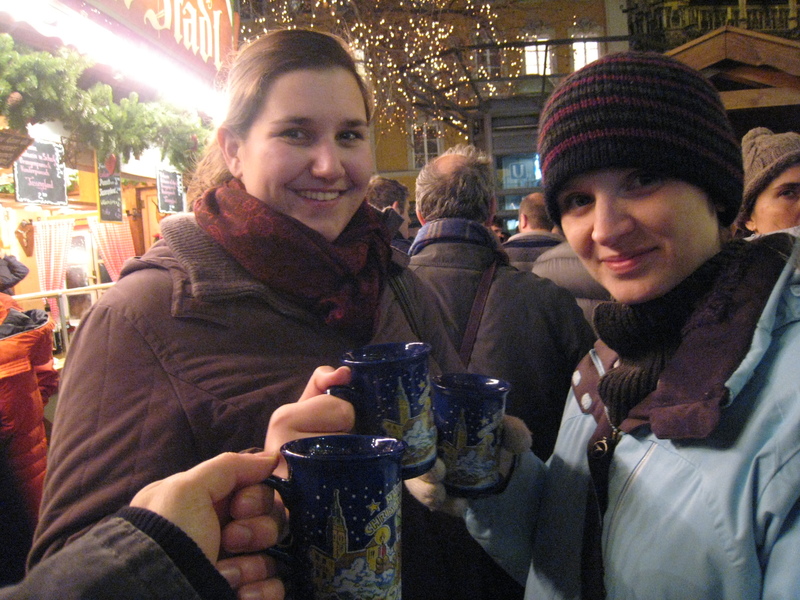 It was very tasty and perfect for a cold night at a German Christmas market. Later we enjoyed dinner and talk with our friends, then Jess and I crashed for 12 hours! We woke up this Christmas Eve morning and had a late breakfast (*thanks to Jess and I sleeping in till 10!) 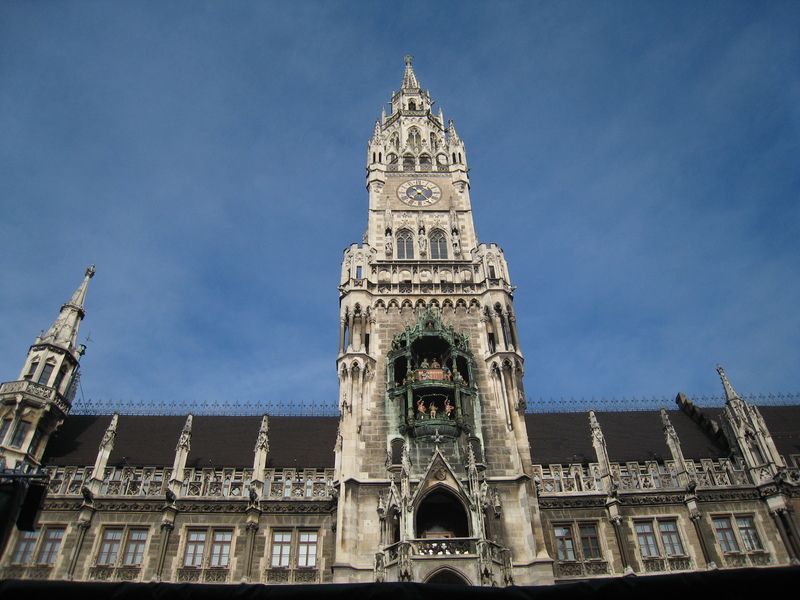 then went downtown to see some of the old churches and structures in Munich for a few hours. Then at 4:00pm we started the Christmas eve traditions. First we went to the cemetery to pay respects to past generations. This was a very unique tradition. It appears that most Munich residents practice this tradition by decorating the graves of loved ones and lighting candles. It was dusk when we were at the cemetery and all the candles put on a very seasonal display. After the cemetery we went to church and experienced a Christmas Eve service all in German, carols and all. Then we proceeded home for Christmas Eve dinner which was made up of all different cold fish dishes. Very tasty! 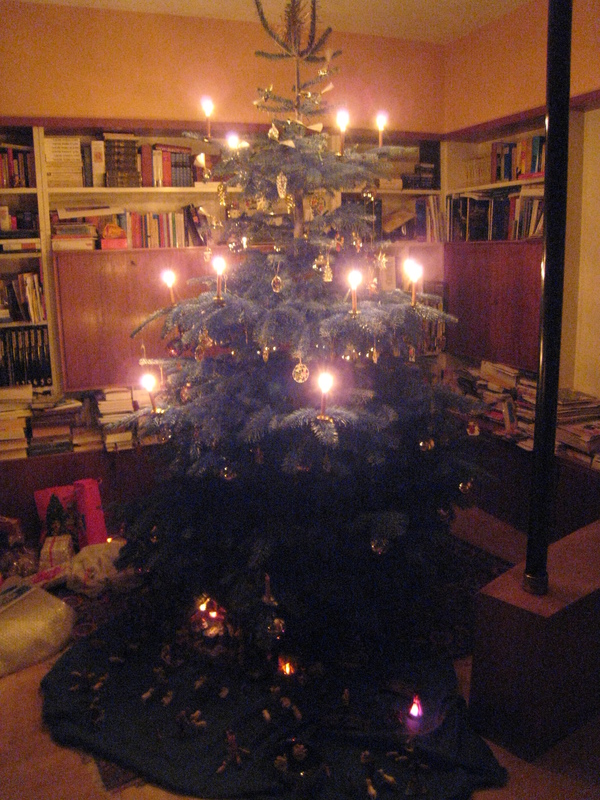 After which we talked for hours around the Christmas tree which was lit up with real candles and we ate home made Christmas cookies. This will be a Christmas Eve to remember!